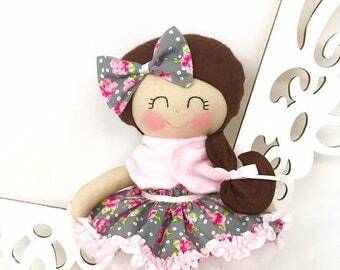 This is the perfect soft cloth doll for your special girl. 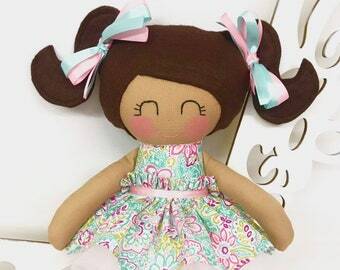 This is a 14 inch Cloth Doll that is part of the Dressy Doll collection from Sew Many Pretties. 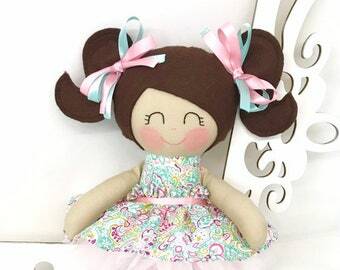 This is plush doll is handmade from 100% cotton fabrics and wool blend felt for her hair. Facial features are hand embroidered. 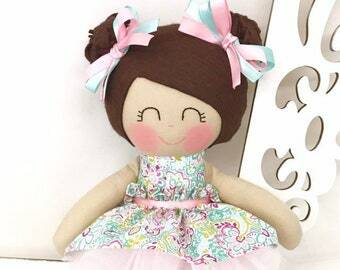 Her satin hair bows are sewn securely. 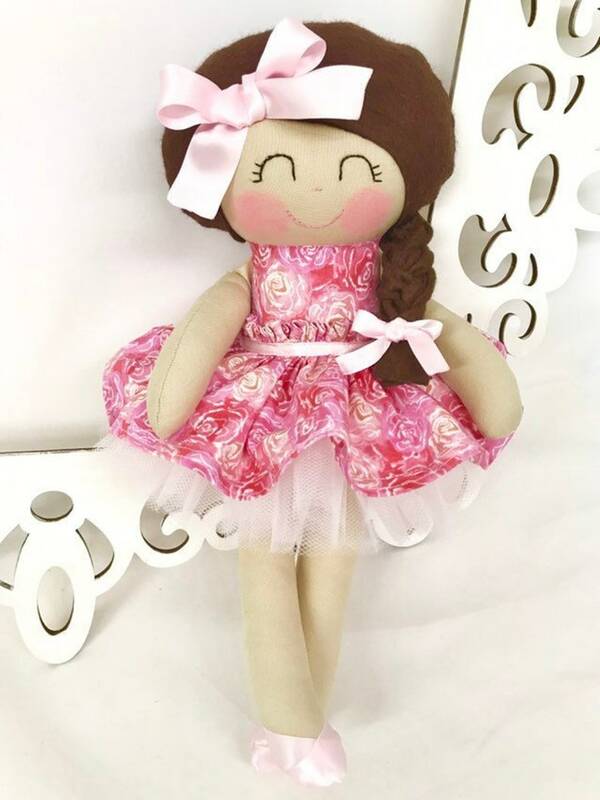 This doll has a cotton fabric skirt with velcro closure in the back that makes it simple for a young child to dress her with. 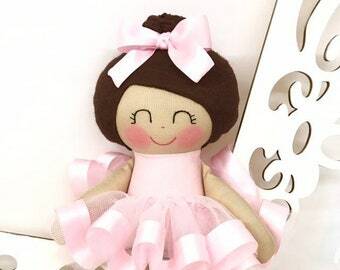 You have the option of adding a pink tulle underskirt to dress her up even more. 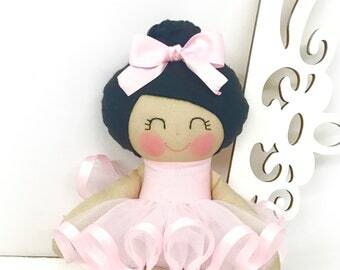 Let this special handmade doll inspire a child's imagination and creativity! 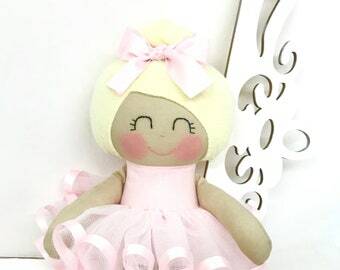 This doll is beautiful and adorable! ❤️❤️❤️ Looking forward to getting more dolls from Tricia!